Yesterday I went shopping at a big outdoor mall here in Westchester County and sadly, I was met with garlands of Christmas decorations surrounded by trees full of orange leaves. On the other hand, I always say that as soon as we’re done with Halloween, boom! The year is over! But the reality is that we still have several weeks left and while I think the Xmas decorations in early November are tres tacky, it is a reminder, that we are now at the threshold of the holiday entertaining season. yeah… I know. The house is a MESS! And while we don’t have time to make a major over-haul, there is time before turkey day to make some changes that can have a huge impact. And what better place to begin than with the place we enter. Our entrance foyer. Or entryway. Alright, most of us are not so lucky as to have an architectural gem like this decorated to perfection by Miles Redd with priceless antiques, however that doesn’t mean that we can’t follow his example to create the perfect entrance for our own homes. This may sound obvious, but the foyer needs to be in keeping with the rest of the home. It sets the stage. Is there a place to hang your coat, etc? If not, if there’s space an armoire is a good solution. Please, no hall trees with all four of your kids coats, hats, mittens umbrellas hanging all over the place. Overhead lighting should not be lower than about six and half feet. 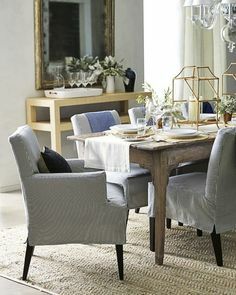 I always love additional light on a table or other storage piece. I have two lamps on my bookcase in my entrance as well as a chandelier. Lucky me, I have nine foot ceilings, so don’t have to worry about it hanging too low. Walls. If it’s a very large, very open entrance, I think that the walls should be light. 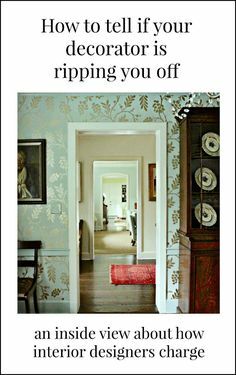 However with a small entrance, this is an opportunity to add interest and even drama with wallpaper or even a deep rich paint color as long as it’s in keeping with the look of your home. Sometimes entries are too open to the rest of the home and/or stairs and there’s no natural break and in that case, the entrance naturally must flow into the rest of the walls it shares. Recently, I worked on a home where we actually added to very short walls to create a separate foyer. The opening to the living room is still quite large, but in so doing we were able to put in a cool grass cloth and make it its own separate area. Wonderful entry. I think we could add a bench on the staircase wall, but this is one of my favorite entries ever! Extraordinary space and I’m not altogether sure that it’s a residence, but I love the columns and old wide board floors and vaulted ceiling. How fabulous is this entry. Stylish, chic, coastal home. A separate area with a black wall. I am seeing so much of this but don’t know if I have the nerve. This is so cool. And that looks to be a synthetic patent leather on the French chair. Love the bureau too. This is possibly what heaven looks like. In heaven sisal rugs don’t stain, apparently. Oh, how I wish it wasn’t so on earth! two versions of larger foyers with a round center hall table. Both really lovely. I think my eyes fell outta my head the first time I saw this astonishingly beautiful entry. Wowza! Check out the detailing on the wainscoting. Just divine. What an incredibly talented designer she is! 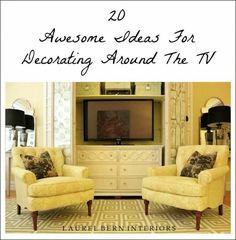 I hope that this gave you some good ideas to help you get your home ready for the holiday season! I Need Help For My Ugly Stone Fireplace. Can I Paint It? Pulling My Hair Out! I Need Five Area Rugs That Coordinate! 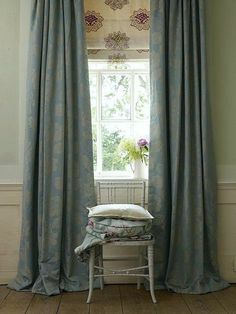 Will An All Blue and White Home Look Weird?